Vuelta a la Comunidad Valenciana: Kristoff 5th in Alicante sprint. Daniel Martin sits 9th overall. 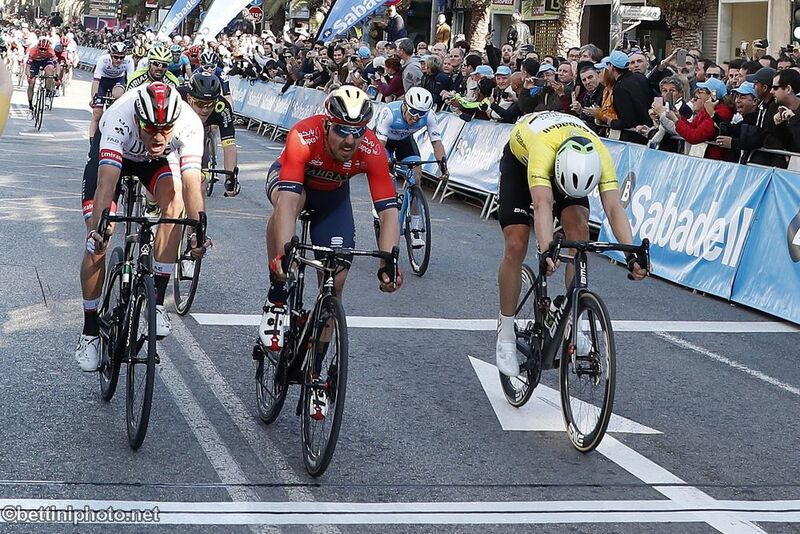 Norwegian Alexander Kristoff sprinted to fifth place in a bunch sprint at the end of stage two of the Vuelta a la Comunidad Valenciana. The stage covered 166km around Alicante. The current European Champion Matteo Trentin (Mitchelton-Scott) won the stage ahead of Frenchman Nacer Bouhanni (Cofidis) and Brit Ben Swift (Sky). The team’s Irishman Daniel Martin began the stage 10th thanks to his ride yesterday in the 10.2km time trial. He finished the second stage in the group and gained one spot, moving to ninth. Norwegian Edvald Boasson Hagen (Dimension Data) maintains the race lead. Tomorrow, they race the third stage from Quart de Poblet to Chera, 191km with the finish uphill. 2 Nacer Bouhanni (Fra) Cofidis Solutions Credits s.t. 3 Ben Swift (GBr) Team Sky s.t.